Instead of anti-aging creams and moisturizer, some celebs use different strategies for maintaining youthful skin. 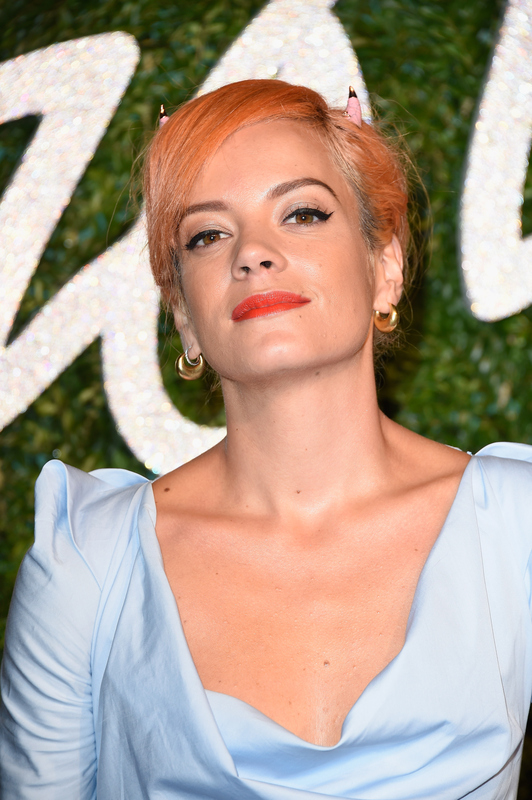 As reported in Daily Mail, quirky singer Lily Allen has a personal trainer for her face to help ward off wrinkles. For 80 euros per session, trainers at the Face Gym in central London coach their clients through face muscle warm up, cardio, and cool down. Um, what? Silly as it might sound, Face Gym founder Inge Theron makes a valid argument for the workouts, which she considers natural botox. She explained, "Face Gym is grounded in the principle that we don't think twice about toning our muscles at the gym so why think differently about the face? Facial muscles are crucial to the way we look and with regular stimulation can lift, tone and tighten the skin, boost blood circulation and collagen production giving a fresh youthful appearance to the skin." OK OK, fair point, Theron. But the idea of it still makes me giggle. The treatments themselves specifically involve "facial flicking, pummeling and fast finger movements to lift the cheeks, drain excess fluid from under the eyes and work on fine lines." Did anyone else just get turned on by that description? I love how Allen embraces her skin struggles, and if face workouts help her feel more confident and radiant, then I say get it girl! And bend ... and snap!